You have no idea how hard it is for me to leave this as is, but because this is a CAS challenge, I will. I used a Shari Carroll technique, to ink up an acrylic block with a mix of distress inks, spritz very liberally with water, and then stamp the block onto watercolor paper. I like the way it squishes out around the edges, giving a nice uneven edge. After letting that dry well, I overstamped it with the friends definition stamp in black, and the dill image in peeled paint, then trimmed it out and placed it on my card front, adding a stamped and die-cut butterfly. 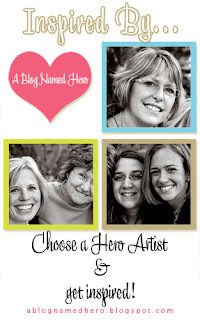 Anne is an immensely talented artist and photographer and freely shares her ideas. Happy Anniversary, Anne! Here's to many more! 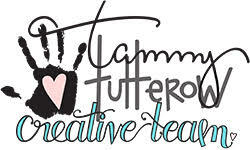 My sweet friend Nancy recently sent me some digital images that she had designed, and I had a good play with them. Here are some of the cards I made using her "pocketful of pansies" images. Since I have yet to figure out how to print on top of design papers, I printed out the various elements onto white cardstock, and then colored and/or overstamped them with various patterns to give that effect. I love how they turned out! Pansies are a sentimental favorite with me, and I love that they are digital so that I can make them any size I want! Thank you, Nancy, I love your idea! 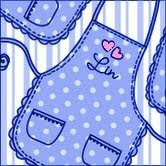 And I also used this Hero Arts/ Studio Calico stamp set, HeyDey Sentiments. So then, of course, I had to use yellows. I die-cut the daisies once from the yellow gingham paper, and a 2nd time from white cardstock. Then I colored in the stems and the yellow parts of the flowers on the white diecut and inserted it back into the negative die-cut of the yellow gingham. I used the negative of another die on my 2nd card, too, but this time I just let the background shine through to give the detail. 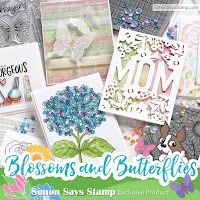 Please visit the Simon Says Stamp Challenge Blog to see what my other teamies have done this week with more of the dies. Once again, the fabulous Heidi has given us another $50.00 gift voucher for the random winner of our challenge! 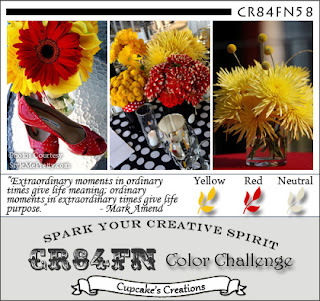 Beautiful colors this week at CR84FN! 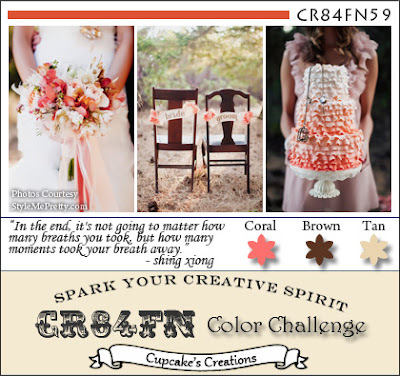 Coral is one of my favorite colors to wear, but I almost always pair it up with white - after playing with the browns and tans, I just may add them to my wardrobe, also. Here's my card, using a previously stamped panel, done in tans and browns with a tiny bit of green. The Doily was stamped and heat embossed, then the other elements were stamped over and around it to make my panel. I just had to make the flower and the sentiment, and I was finished! I really liked that Lisa also embossed her panel with a small pattern, so I followed suit there also. Isn't it darling? And all stamped, too - to me, that's a huge plus! 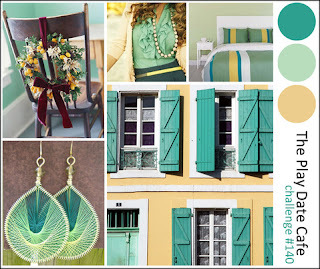 I loved all the elements that Kristi used, the colors, her design. My card uses all of them, but in a much,much simpler way.....this Hero Arts stamp had all the elements I loved on Kristi's in one stamping; all I had to do was color it and add my sentiment. 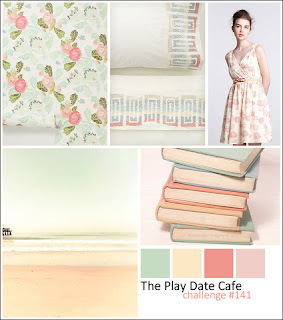 Such pretty colors at the Play Date Cafe this week - I had fun with these! I again used the same stamp as the card below in the next post, but this time I embossed it in white on pale yellow paper, then colored in the pink flowers and leaves, leaving the larger flowers alone. This week's challenge at CAS-ual Fridays is to create a clean and simple card using a black card base. Black is not a color I use often, but I really like how this turned out. The fabric stamp was stamped on white cardstock using black ink and clear embossed, then I colored in the flowers and leaves. 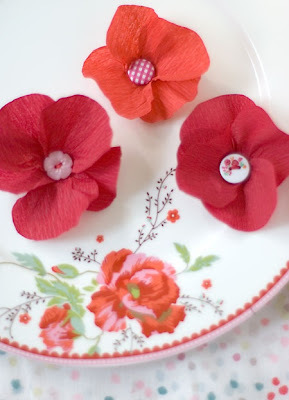 Making the card yesterday reminded me that one of the monthly challenges at the Hero Arts Blog is to make paper flowers. I decided to use my newest Hero Arts flower and some Amuse papers that sweet Barb gave to me for my birthday, along with some pretty buttons. I like that this is a way to "preserve" those pretty papers and buttons even after they've all been used up! Here's a video and tutorial by Shari Carroll showing the same technique that I used to make my bouquet. I put them in a little glass jar filled with sand, and the wire is on the flimsy side, so when the breeze hits them from my open window, they bob and move just like the real things! 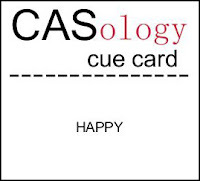 Challenge #2 at CASology is "happy". This is truly the first thing that popped into my mind, a bunch of daisies. But is it clean and simple enough? Still too much "stuff" on it? 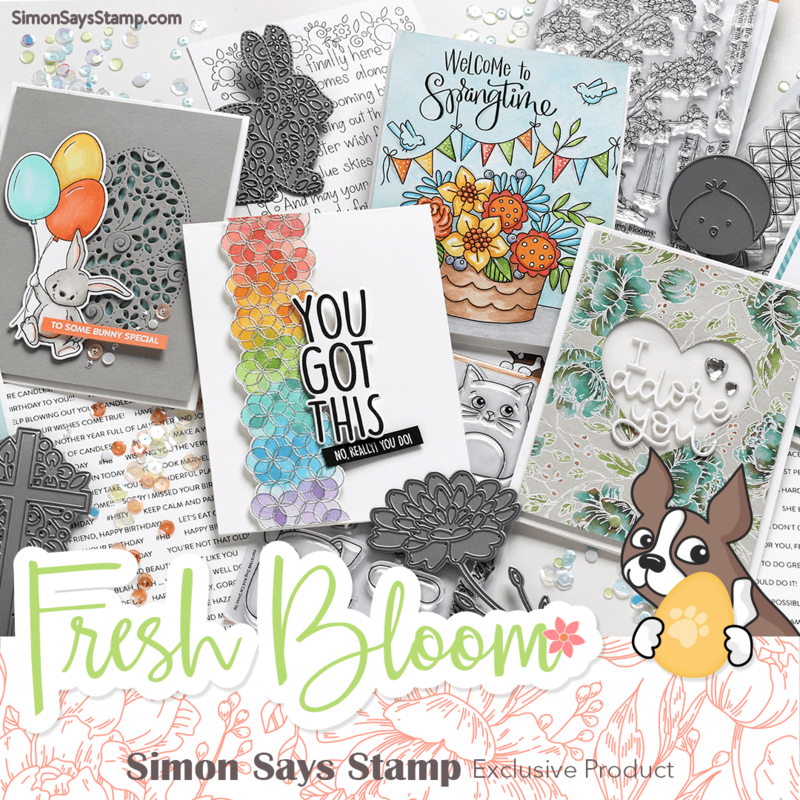 It's Wednesday, and that means another challenge over at the Simon Says Stamp Challenge Blog! 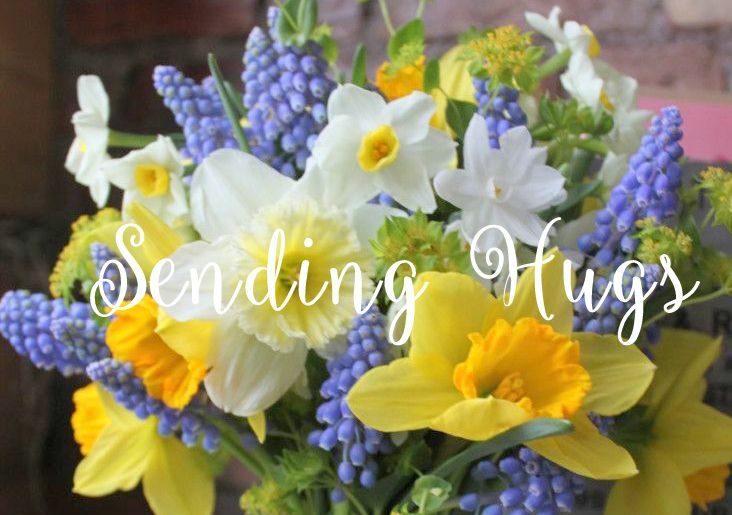 I used 2 Pure Innocence stamps, Blooming Good Day for the little girl, and Daffodil for the sentiment, and I couldn't resist adding my favorite flower dies, these Mini Rolled Roses. All of the printed papers are from the Little Darlings paper pad, and I also used Nestabilities Classic Scalloped Rectangles. 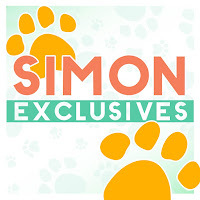 You can use any products you'd like as long as we can see the sketch in your creation - and of course your entry may win you a $50.00 gift voucher from the Simon Says Stamp Superstore!! 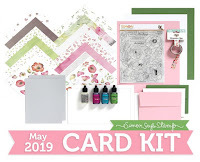 Please visit the Simon Says Stamp Challenge blog to see what my teamies did with this challenge, and then link your creation there! I originally had another hexagon in the place where the butterfly ended up, but when I started placing everything, that Gabrielle background paper had a little white butterfly right there, so I followed suit - happy coincidence! At A Blog Named Hero, our challenge is to be inspired by the Hero Arts Artists. I challenged myself to use her technique and mask the borders as well. Here's how I did it: I first masked my card around a rectangular piece of acrylic that I used as a shadow stamp. Then I stamped and embossed the white "bush". Next I inked my acrylic block with tumbled glass and broken china distress inks, spritzed it well with water, and "stamped" that in my open area over the embossed bush. After that was dried, I overstamped the envelope pattern using broken china distress ink. Then I inked my Garden Bouquet stamp using distress markers, spritzed that with water, and overstamped and let that dry. Next I pulled off the masking, overstamped my sentiment, and stamped and die-cut the butterfly and popped it above the card. So if you count the acrylic block stamping as a layer, there are 5 layers of stamping on this card. And I'd also like to enter this card into the Stamp It! 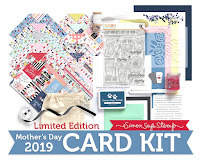 Cards Thank You Challenge at Moxie Fab World. Cards are being collected beginning now through Friday, August 3, 2012. Please help if you can! 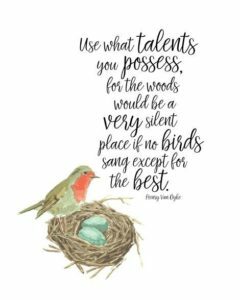 Hey, bloggers, it's Wednesday and that means another challenge at the Simon Says Stamp Challenge blog! This week our theme is Let's Get Fruity! Fun, huh? One of my favorite things about summer is all the wonderful fresh fruits we can get at this time of year. I used the Hero Arts clear set called Simply the Best, and tied a twine bow around the apple. Then I distressed all the edges before putting it together. 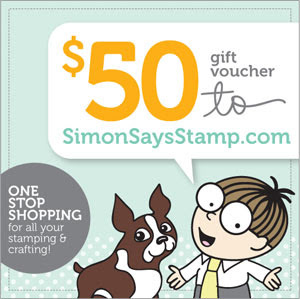 As always, one random winner of our challenge will receive a $50.00 voucher to the Simon Says Stamp store! Have you really looked through the store? It has EVERYTHING; truly is a one stop shop! 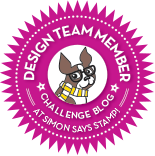 Please come visit us at the Simon Says Stamp Challenge blog to see lots of ideas from my fellow team-mates, and then make something to share with us! supplies: white cardstock, sun stamp from Our Craft Lounge "Sunshine Cheer", sentiment from The Crafts Meow "Baggin Some Rays", VersaFine onyx black ink, Memento markers, PTI cloud dies, design papers from Cosmo Cricket "Material Girl" and "Togetherness"
The challenge at CAS-ual Fridays this week is to use text in a Clean and Simple Card. I've always been drawn to cards that incorporate text into the design, so I couldn't wait to start playing! After trying various things, I remembered this pretty pink text paper from Jillibean Soup's Blossom Soup papers, and I decided to use it for my flowers. And, I think "Sending Smiles" is a way of saying "Hello", don't you? So I'm also entering this into the Moxie Fab World's Stamp It! Cards "Hello" challenge. This works also for the Love Card Challenge at Moxie Fab World's Stamp It! Cards Week challenges. 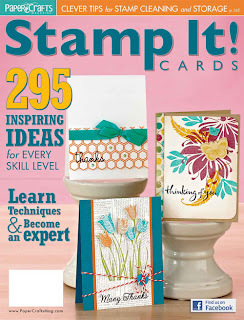 And it works for Virginia's challenge, using her tip to use just a part of a stamp in your design.